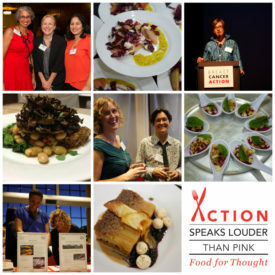 Don’t miss our 7th Annual Action Speaks Louder Than Pink – Food for Thought event! 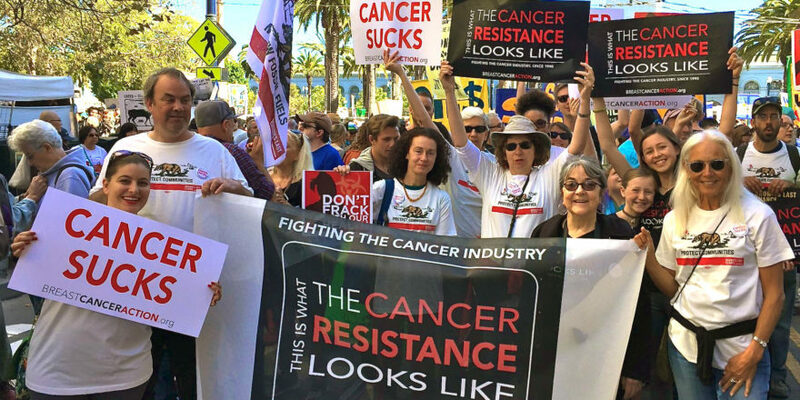 You’ll enjoy a delicious four-course meal prepared by renowned San Francisco Bay Area chefs, hear a thought-provoking program featuring our award-winning Think Before You Pink® campaign and spend time with the amazing Breast Cancer Action community! Heartfelt thanks to our chefs for donating their time, talent and food! We are so grateful for the support of Chef Eric Tucker from Millennium in Oakland, Chef Kevin Clancy from Bon Appetit in San Francisco, Chef Charlie Ayers from Calafia in Palo Alto and Pastry Chef Bernard Hong from Cafe Madeleine and Chef Sascha Weiss from Project Juice, who served as our head chef for the event.